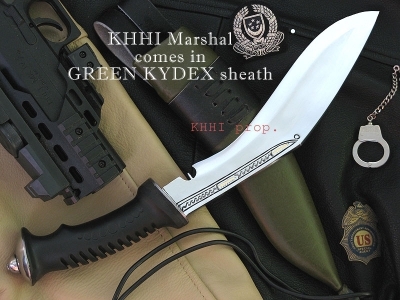 Will come very handy for any activities that require cutting, slicing, piercing etc that might not be possible or very effective by the big (mother) blade..
KHHI introduces two new types of Back up knives for all Survivors and Saviors.. Keeping in mind its usefulness and necessity in order to tackle a situation that may arise from nowhere, customers’ high demand for a useful supporting knife (as a backup for the mother blade) and also to have a khukuri set 100% completed (to enhance a buy), these SUKx (Supporting Utility Knives) have been officially added to KHHI’s amazing product gallery to add further strength and depth into it. These small knives will come very handy for any activities that require cutting, slicing, piercing etc that might not be possible or very effective by the big (mother) blade. 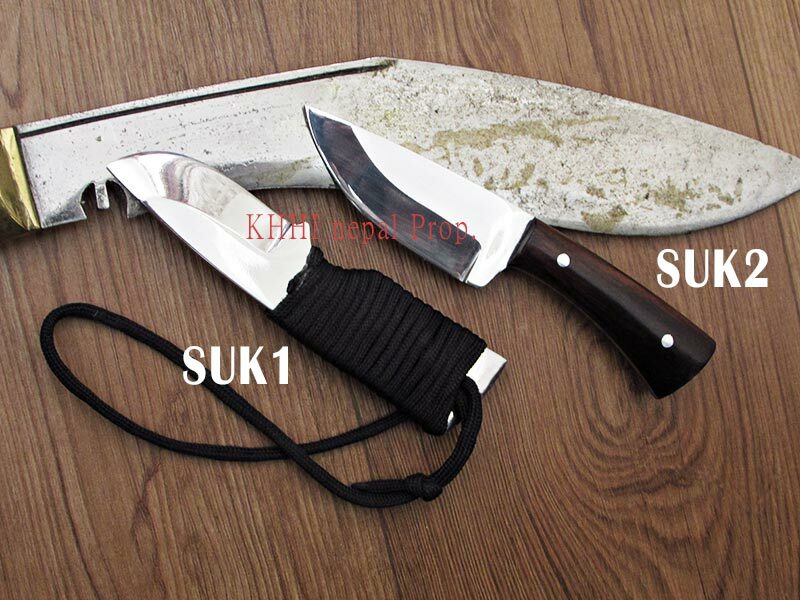 SUK1:: at 2.5 inch long, thick and fat (robustly built) and forged in such a way that it is very handy and effective. 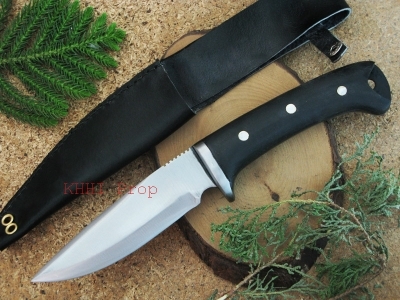 Made from high carbon steel (52100) and comes with a paracorded (paracord wrapped) handle which is water –proof so ideal for even wet and slippery conditions. SUK2:: at 3 inch long, well built and perfect finishing. It is idea for small games and tasks. It has Indian rosewood handle (full flat tang with rivets) that provides a very comfortable grip and thus effective usage. Both SUKx are well heat treated for good use, highly polished to prevent from rusting and for easy maintenance, and go into their housing that is made in the back of the throat (insertion) of the sheath.